Ryan James Howard (born November 19, 1979 in St. Louis, Missouri), nicknamed "The Big Piece", is a former professional first baseman. He spent his entire Major League (MLB) career playing for the Philadelphia Phillies, from 2004 to 2016. A big man, he stands 6 feet 4 inches (193 cm) and weighs 240 pounds (110 kg). He batted and threw left-handed and holds numerous Phillies franchise records. 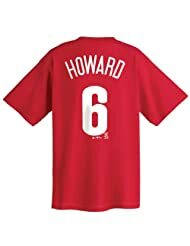 Howard made his MLB debut in 2004 and won the National League (NL) Rookie of the Year Award in 2005. He won the NL Most Valuable Player (MVP) Award in 2006. A three-time NL All-Star (2006, 2009, 2010), he won the Silver Slugger Award, Hank Aaron Award, and the NL Championship Series MVP Award in 2009. 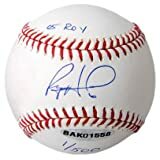 A member of the 50 home run club, he was a two-time NL home run champion (2006, 2008), and became the fastest player to reach both the 100 and 200 home run milestones in MLB history, passing those marks in 2007 and 2009, respectively. He is also the all-time Golden Sombrero leader in the majors. One of the game's most feared sluggers, Howard is best known for his hitting. His 58 home runs in 2006 led Major League Baseball. As with many Philadelphia players who have played near the end of Veterans Stadium before its destruction and almost all "Phan Phavorites" at Citizens Bank Park, Howard has a fan club known as "Howard's Homers", with the group sporting Homer Simpson masks. In May of 2014, Howard and his wife Krystle struck a deal with Scholastic publishing company to ink a collection of children’s books. 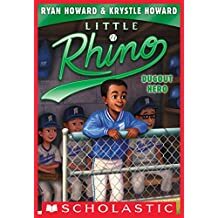 The baseball-themed chapter series, called “Little Rhino,” is geared toward kids aged 7 to 10, a demographic Mrs. Howard is familiar with from her days as an elementary school teacher. To date, they've published 6 installments. 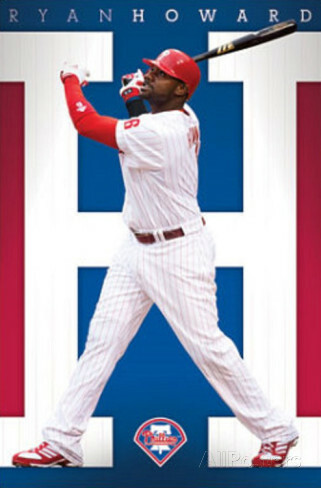 Here are Ryan Howard's stats for his 2006 Most Valuable Player season. For his career stats, click here. 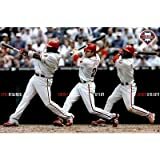 Featured here are Ryan Howard posters, photos, giant collectibles and apparel.